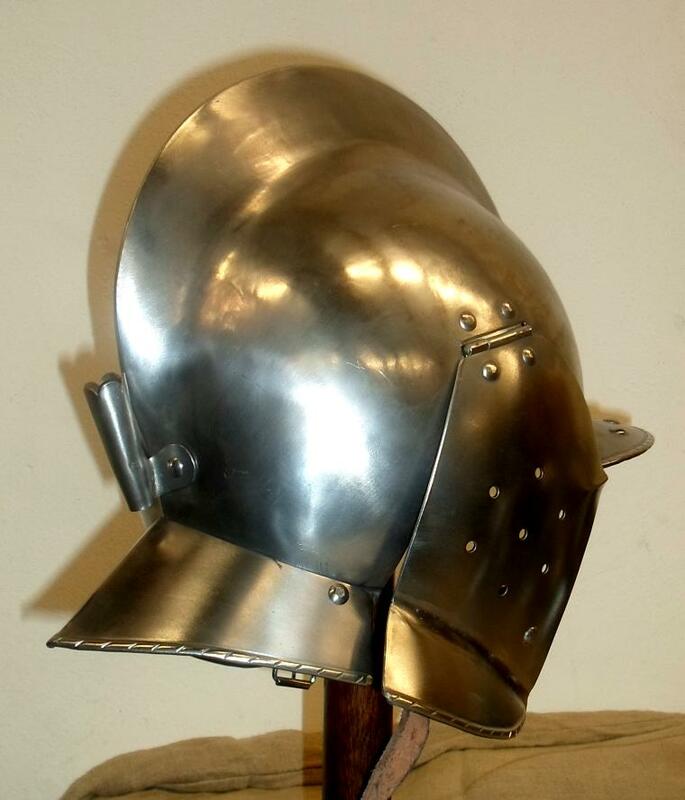 The burgonet helmet, 2 pieces. 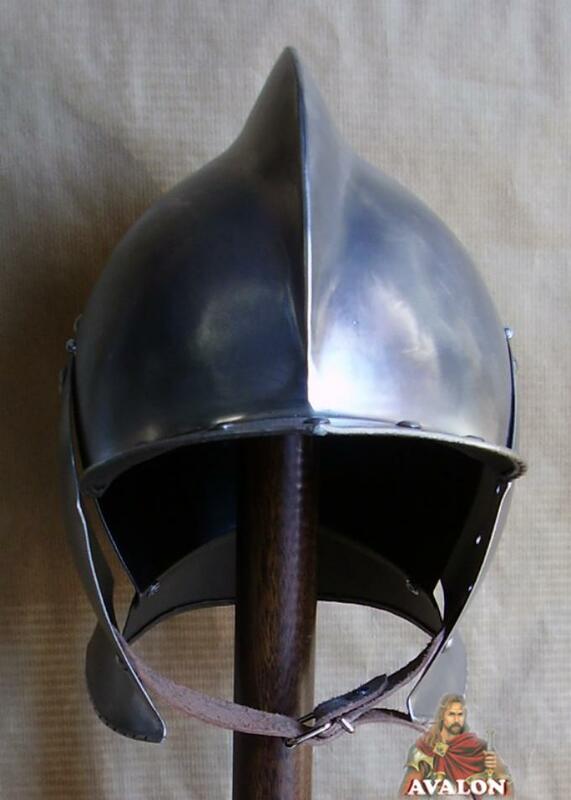 This reconstruction has got the very typical helmet comb. The cheek guards are flexible and demountable. Helmet will be delivered with bevor. Of course the helmet can also be worn without any bevor. 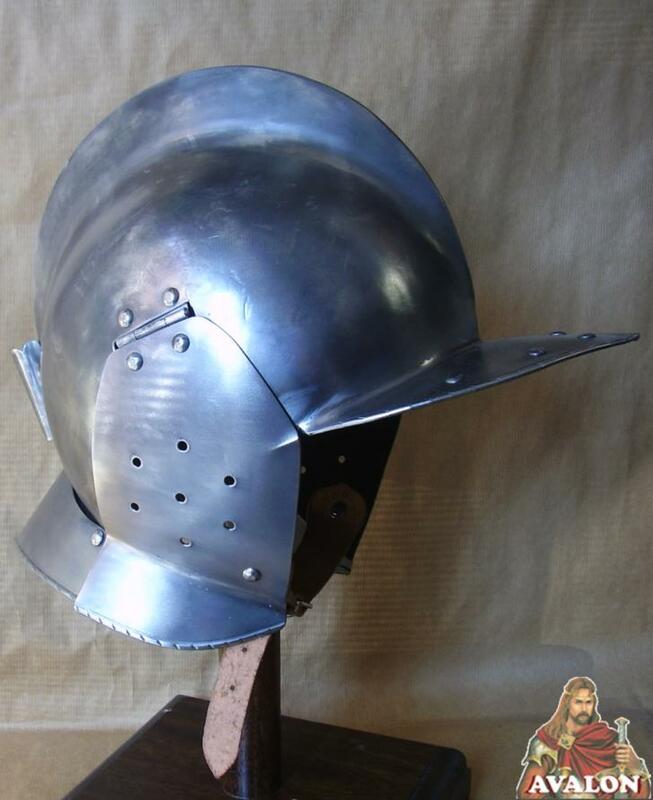 The burgonet helmet it was the successor of the sallet, sometimes called a burgundian sallet, very popular with the infantry but later the cavalry wore those helmets as well. 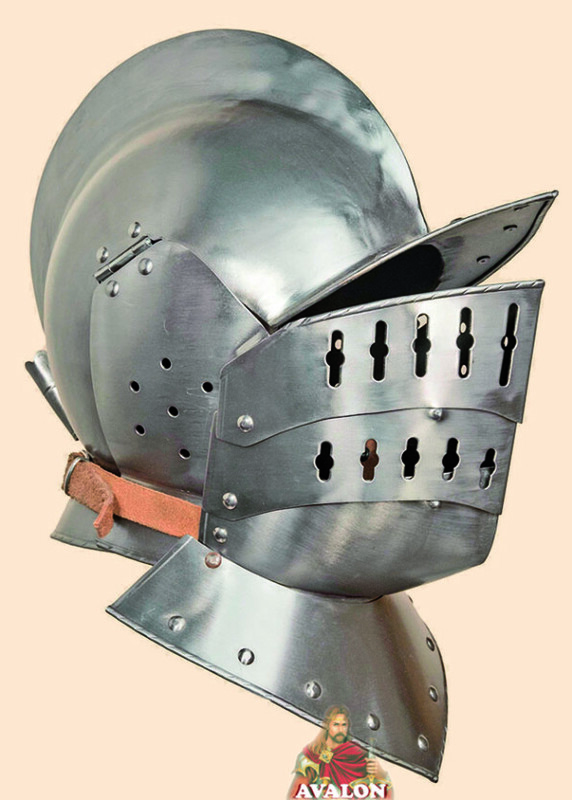 It developed to the most worn helmet during the 16th and 17th Century. 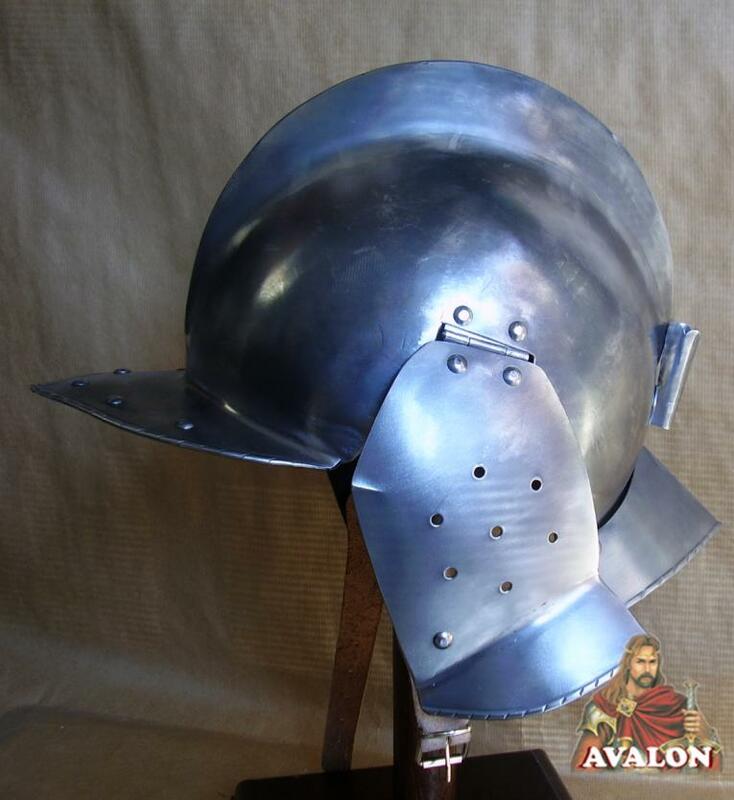 Burgonet helmet is produced by highly skilled artisans in Italy, equipped with leather straps and external adjustable buckles to be worn.